Who doesn’t love big explosions? Elon Musk certainly loves big explosions. Even if it is millions of dollars’ worth of, his Company, SpaceX’s equipment that is bursting into flames, in spectacular fashion. He promised a Space X blooper reel and he has delivered. Bask in its glory. You’ll probably want to watch it more than once. Although this video is a tongue in cheek and very humorous way of highlighting some of the many failures that SpaceX have had it is also a path to glory. 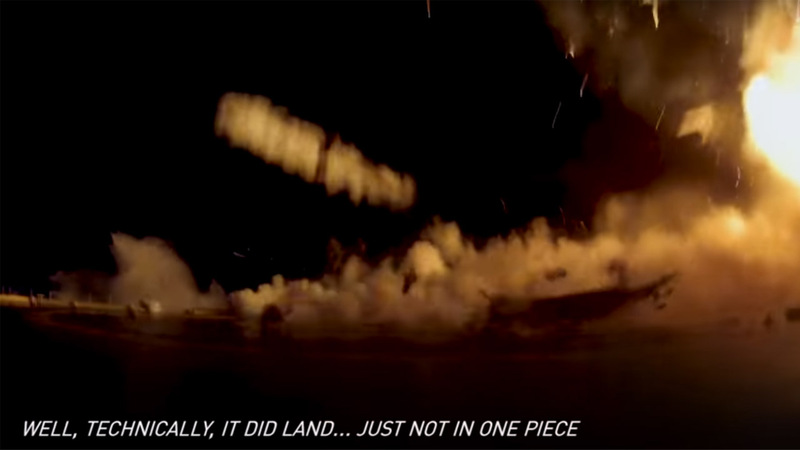 Each botched landing and blown up rocket booster is captioned with the reason it failed. You won’t succeed if you can’t learn from your failures and sure enough the last 2 rocket boosters land successfully. Our users are talking about the best Space RPG games. Join the conversation now!